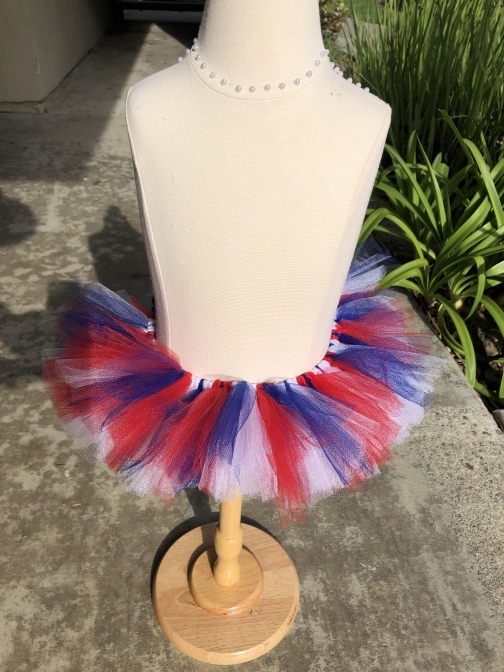 Tutu has extra ribbon in your choice of red, white or blue, and ties in the back. Item ships from: Huntington Beach, CA, US. $6.00 USD ($2.00 USD when combined with another item) by USPS.